SPECIAL THEMES 18 France’s Best International Private	Schools France has some of the most renowned educational establishments in the world, from top universities to bilingual schools and outstanding animation schools. We take you on a tour of some of the best and most successful in the country. 38 A Scenic Walk Along Menorca’s Horse Trail Known as ‘the green island’, Menorca has some of the most scenic countryside in the Balearic islands and there are few better ways to experience it than on the ‘Cami de Cavalls’ or ‘horses’ path’. The path winds around the island taking in secluded coves, cliffs and dunes, wetlands and farmlands as well as watchtowers and lighthouses, as writer Manuel Meyer discovers. 42 Southern Europe’s Top Food & Wine Hotspots From Venice, Florence and Rome to Barcelona and Bordeaux, we explore some of the best food and drink hotspots in Southern Europe. 54 Slow Tourism in the Somme With beguiling bays, sandy beaches and laidback waterways, there is much more to the Somme than reminders of the Great War: as we find out. PURE SIMPLICITY. ELEGANCE. SEUREN TABLES. Discover Southern Europe is a unique English-language showcase for France, Spain, Italy and Portugal. It appeals to all those who have a relationship with or a connection to these countries – be it through family, business, tourism, migration or investment. 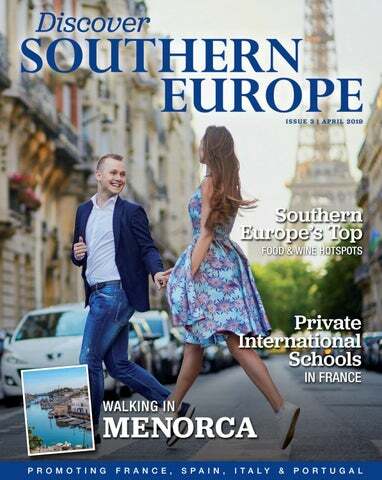 Besides our growing readership of expats and valued business associates, this magazine is also for anyone around the world who simply loves or appreciates Southern Europe. Discover Southern Europe highlights the vibrant Southern European culture and lifestyle which flourishes abundantly all over the globe. t architectural studio Goring and Straja (GaS Studio) in Milan, not having a core business is a plus. Versatility has been the firm’s hallmark since it was founded in 1997. “Creating versatile solutions allows our firm to be present in a number of spheres, from interiors and residential projects to urban planning and building renovation,” explains partner Lenka Lodo. The firm then moved into the property and real estate sector, working with both green field and brown field projects, before moving on to student housing projects. GaS Studio soon found itself working on anything and everything, from building shopping centres and cinemas to furnishing shops, offices and private residences. Top left: TIM new concept store @ stefano Gusmeroli. Top middle: ING branch Milan Corso Sempione @ giulio oldrini. Top right: Green Place – Stam Europe – new Office building Leed Gold C&S – external garden @ stefano Gusmeroli. Bottom left: Axa Palace – Generali Properties – refurbishment – Office building Leed Gold C&S @ stefano Gusmeroli. Bottom right: HQ offices – refurbishment – Carlyle Group. looking global outlook,” explains Straja. “With a dynamic and diverse team of staff, we embrace foreign cultures to create an inspiring fast-paced international environment. Our studio benefits from a diverse knowledge base with understanding of various cultures worldwide.” At GaS Studio, many employees and freelancers speak an average of three languages each. unique as it adapts to our clients’ needs and requirements, reflecting the architecture of each location and improving the relationship between people and place. We want our projects to reflect our global image while recalling local architectural features. Projects in Milan, Italy’s capital of fashion and design, have a strong metropolitan design focus, for example, while a hotel project in the wine-producing Langhe area will echo local architectural traditions,” says Lodo. Films & Books Our monthly pick of the best films and books either from Southern Europe or featuring Southern European locations. a hand-grenade and a karaoke rendition of Toto’s Africa. If you allow a little slack for plausibility (as befits the action genre), The World Is Yours is wildly entertaining. It comes complete with a brilliant soundtrack and spectacular visuals, and even some surprisingly tender moments. Just make sure you buckle in for the ride. The World is Yours. On the other end of the spectrum, the new Italian release Happy As Lazzaro is quiet and dream-like, but no less beguiling. Written and directed by Alice Rohrwache, this won Best Screenplay when it premiered at the Cannes Film Festival last year and the award was undoubtedly deserved. Set on a tobacco farm in rural Italy where the air is hazy and the sound of crickets are a nighttime constant, Adriano Tardiolo plays a well-mannered, selfless (if a little naive) Lazzaro. He is one of around 50 peasant sharecroppers who never receive any pay from the noble landowners who convince them they are in continual debt. Completely cut off from the urban, outside world, they have no way of knowing that this agricultural power system has been outlawed since the 1980s. Lazzaro strikes up an unlikely friendship with the owners’ son, Tancredi (Luca Chikovani), and an element of magic realism comes into play in a turn of events you really do not see coming. Happy as Lazzaro feels very much like a pastoral parable, and looks set to become an instant classic. monuments, like the Coliseum and the wedding cake pillars and layers of the Monument, to Victor Emmanuel II, make the city what it is. So much so, that photographers and architects alike have always been fascinated by the city. Although architectural photography did not yet exist as an identifiable discipline in the early days of photography, the Royal Institute of British Architects (RIBA), founded in 1834, soon began assembling a collection of architectural photographs that today stands as one of the largest collections of its kind in the world. Rome – Eternal City, In the Photographs Collection of the Royal Institute of British Architects, carefully compiled from the many thousands of images held at the Institute. Although some of the book’s most striking, Magnum-style black and white images date from the 1960s, there are also impressive colour photographs from the 1980s, by Richard Pare, and from the early 2000s, by British architectural photographer Richard Bryant. The images are not solely about architecture either. The buildings may take centre stage, but there are often reportage style photographs capturing ordinary Italians in different eras. 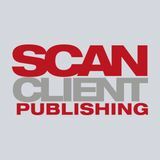 Some were originally published in architectural magazines and journals but many, having no natural outlet, remained in the private collections of the photographers and have consequently rarely been seen before. As architectural expert and academic Gabriella Musto writes in one of the book’s fascinating introductory essays: “Rome has a thousand faces, reflected in the Tiber and the gold of its domes at sunset”. French as a foreign language, as well as other languages including Spanish, Russian and Arabic. Similarly, at the renowned Mougins School near Nice on the Côte d’Azur, students from all over the world, aged three to eighteen, have been receiving a quintessentially British education since 1964. France also has more than its share of top centres for producing tomorrow’s generation of creatives. These include the École Georges Méliès just outside Paris, which trains students in contemporary cinematic techniques such as 3D animating, special effects and video game technology. Meanwhile students from leading animation school Gobelins, which has campuses in both Paris and Annecy, also regularly go on to work at international studios such as Disney, Nickelodeon, Pixar, DreamWorks and Sony. At the earlier stages of education, France is famous for its bilingual schools, which give children the opportunity to learn and gain a quality education in at least two languages. In Paris, Open Sky is a fully bilingual nursery, primary and secondary school, whilst in the Yvelines countryside, just outside the French capital, Saint-Louis Notre-Dame du Bel-Air teaches children aged six to fifteen in both French and English. So what is the key to the French education system’s success? There are various factors which come into play. The French are known for their no-nonsense approach to education, with an emphasis on classroom discipline and good handwriting from the outset. The importance of food in the national culture also informs schools’ policies on students’ meals going hand in hand with the belief that good eating habits and diet are essential to children’s upbringing. Trends in education may come and go, but whatever they are doing at these top French establishments, it is clearly working. hartered in 1962, AUP is renowned as an international centre of crosscultural and interdisciplinary teaching and learning. Just 15 minutes’ walk from the Eiffel tower, it is not just its enviable location that puts this world-renowned university in a class of its own. The university’s curriculum combines liberal arts inquiry with preparation for professional life, and student-centred, active learning. The university also offers small class sizes, which ensure that students benefit from their interactions with professors and fellow classmates. AUP’s multidisciplinary Summer Institutes combine intensive learning with fun, educational excursions, to make sure that students experience both the classroom setting and the cosmopolitan heart of the French capital. ty, our summer courses are transferable for academic credit to the US university system. Students are also able to audit classes if they are not looking to earn credit and just want to take a class for fun,” she adds. French Language Skills One of the most popular programmes for visiting students is the immersive French Language and Culture Institute. Students take a test and are placed in one of four levels of French study. The main aim is to improve grammar, vocabulary and pronunciation and standards are rigorous but there are also perks, such as the chance to start the day with fresh coffee and croissants before class. “It’s not just the classes themselves that are immersive – the entire course is immersive with plenty of cultural activities that take learning beyond the classroom: in the afternoons, our students can join walking tours through Paris’ cobbled streets and explore the historic quarters of the city,” Lisa explains. Open Sky International - this outward-looking school is expanding exponentially but not losing touch with its core values. Studying — the sky is the limit The traditional view of French education is that it values academic and rote learning over self-expression and self-development. One bilingual school in Paris is challenging such beliefs, fearlessly following best international practice, borrowing from Britain, Singapore and Australia. Yet it also champions best French practice. Could Open Sky International be the model for schools of the future? Open Sky is a nursery, primary and secondary school, currently running to middle school, with Year eight available from autumn 2019, and Years nine to ten in 2020. This will be followed by Year 11 (GCSEs) and Years 12 to 13, the final academic years, devoted to school-leaving A-Levels or the Baccalauréat. It is a challenging environment, with around 40 per cent of pupils coming to the school with no knowledge of English or French, 40 per cent with notions of just one core language and 20 per cent speaking English and French. to Emmanuel Fayad, Head of Open Sky International, the future rests with the best French independent schools, such as his own: “For 40 years, the French State has been destroying the educational system, so the country has dropped down the world league tables.” As an internationallyminded school with a world-class curriculum, Open Sky seeks to redress the balance for its own students. “You have to be a good psychologist in my job, whether dealing with pupils, parents or teachers” (Head, Emmanuel Fayad). After intensive language courses, the pupils are competent in the two languages within a year, and fluent in both languages within two years. In addition, catch-up clinics, held outside main classes, help students who are struggling with specific topics. practice on the planet. “As a fully independent school, we take the best methods from whichever system works for us,” confirms the Head. Throughout the school system, French, history, geography, art and sport are taught in French, while maths and science are taught in English. Language-learning embraces literacy and literature, not just language per se. At secondary level, science follows the English National Curriculum but is taught in both languages so pupils can pass exams in both systems. Mastering French language and culture Every year, the Centre for Applied Linguistics (CLA) in the French city of Besançon near the Swiss border, welcomes 4,000 students of 110 nationalities. One of the world’s leading schools for teaching French as a foreign language, the Centre also offers intensive courses in other languages, including Spanish, Russian and Arabic. Today, students from more than 100 countries study on campuses in Berlin, London, Madrid, Paris, Turin and Warsaw. t was at this point that the first incarnation of ESCP Europe Business School opened its doors to students. Little school, big vision Two schools in two very different settings: one in a remote part of Laos, with 232 children whose only chance this is at an education; another with 60 pupils starting school in Monaco. Neither group could hope for a better start. has a Leadership in Energy and Environmental Design (LEED) certification. There is no plastic in the classrooms and all the food on site is organic. he visionaries behind both projects are Aviv Pode and Stephanie Ayre – co-founders of La Petite École Monaco. Pode spent years volunteering in the humanitarian world before becoming a father and turning his hand to education. “To me, it’s all about helping people,” he says, “All the profits we make here are ploughed back into worthy causes, be it opening a new school or funding an animal shelter.” The staff are directed by Stephanie Ayre and inspired by the child-led Montessori method of education. "Our teachers are constantly aware of each child's mindset, and adapt the daily programme so that all academic and other activities are completed every day – but adjusted in order to accommodate the children and not break their desire to learn." says Ayre. very year, some 500 students attend the custom-built campus close to the technology park of Sophia Antipolis. Students come from over 40 countries, but despite being a non-selective school with a high proportion of non-native English speaking students, examination results are well above the British national average. The majority of the school’s students subsequently go on to further education at the world’s most prestigious universities. clude a superb, fully-fitted gymnasium and a synthetic football pitch and high court. Budding musicians can take part in a wide range of instrument lessons from violin, guitar and flute to drums and piano, and Mougins also stages regular theatre, musical and concert productions in its professionally equipped performing arts hall. The art department, meanwhile, includes classes in fine art, photography and textiles, as well as the use of the school’s own printing press, and sciences are equally well catered for with custom-built laboratories for physics, biology and chemistry and fully equipped IT suites. the galleries and museums of London and Paris, or studying history in Berlin, Belgium and northern France. Closer to home, weekly trips include visits to San Remo in Italy, local olive oil mills, perfume factories, cheese production, coastal studies, tackling rock and mountain climbing on France’s Via Ferrata, as well as various geography field trips. students had to learn French to be able to join the programme. Now 30 per cent of its 1,000 students are international. Both the long-term programmes and the shorter summer schools only accept students with drawing or 3D-software experience, and who are determined to become animators once they graduate, so if you are keen to dive into the world of animation but have no prior experience, there are also online courses in both English and French for beginners. This is also the second session of the school’s five-week Mooc Anima Podi programme, which enables students to learn the basics of animation for free online. Gobelins has close relationships with schools around the world, from the Animation Workshop in Viborg, Denmark to the Communication University of China in Beijing and Calarts in the US. The super-modern Ecole Georges Méliès in Orly is named after the French cinematography pioneer, and aims to make its students “artisans of the moving image”. variety of pathways, including 3D digital animation, special effects, and video game technology: but, crucially, are also encouraged to take a one-year foundation course in ‘conventional’ art skills such as painting, drawing, sculpture, and anatomy. They work purposefully from the traditional to the cutting edge. “We say that cinema is the seventh art,” explains Petitta. “There are six other fundamentals that come before: architecture, sculpture, painting, literature, music, and theatre. That is what is so unique about our school; our students understand the entire process.” Indeed, the school is built – quite literally – around this idea (students can even live at the school’s own residence nearby, with 24/7 access). As well as traditional art studios, there is an ‘anatomy amphitheatre’, a ‘Disney-style’ 2D-animation room, a professional recording studio, and a full-size cinema. There is even a huge green-screen space allowing real-life motion capture, in the style pioneered by Andy Serkis and Peter Jackson at Weta Digital (Lord of The Rings (2001)). This multidisciplinary approach is key. Pettita explains: “When I was a student at the Beaux-Arts in Paris, I had friends working in the animation and film industries, who said they had not been taught digital skills. So, there were technology schools, teaching software; there were 2D-animation schools, and there were the Beaux-Arts academies, teaching the usual painting and sculpture. But no-one was talking to each other.” He continues: “My passion is in education, and I wanted everyone to work together. That is the magic of our school; combining the skills to enable a young person to reproduce the real, living world.” It is this understanding of how to meld artistic ability with super-modern digital techniques, that has established the school as a leader in its field. as those on Majorca, the largest of the Balearic islands. After leaving Pregonda Bay, perhaps the wildest and most impressive coastal scenery awaits. But it is also strenuous hiking, with steep up-and-down stretches of trail. One moment you are at sea level, the next you have a climb of up to 120 metres. After all that, a day of rest is in order in the old historic city of Ciutadella on the western coast. Sitting high above the harbour, the city is a charming mixture of Spanish and Moorish architecture with walled fortifications and a cathedral dating back to the 13th century. From here, the trail along the southern coast offers a completely different landscape. It is flatter, with fields of grain and pastureland – and much more civilisation. Here, the trail eventually leads through holiday resorts and residential areas, but also offers pretty bays such as Turqueta, Macarella and Trebalugar, and white sandy beaches surrounded by pine forests. From Milan to Rome and from Bordeaux to Barcelona, this month we head off on a food and wine trail to discover some of the best hotspots in Southern Europe. n Milan, the historic Ristorante Savini in the city’s famously grand Galleria Vittorio Emanuele Galeria was once the haunt of luminaries from Maria Callas to Verdi, Puccini and Toscanini, and there is still more than a touch of old world elegance and glamour combined with the best in contemporary Italian cuisine. Finally, in neighbouring Spain, we discover the simple but top-quality cuisine at Pur in Barcelona. Award-winning chef Nandu Jubany had previously worked at the legendary three-Michelin-starred Basque restaurants Arzak and Martin Berasategui and has now brought the skills and techniques he learnt to Pur, sourcing the finest produce from Catalonia and beyond. In Florence, it is over to Ditta Artigianale – a micro coffee brewer and coffee shop in the heart of the city, whilst in Rome, we head to Il Tempio di Iside, one of the finest seafood restaurants in town. In France meanwhile, we look at the wines of the Chateau Bouscaut where they not only cultivate quality red and white wines with the prestigious and sought after ‘crus classés de Graves' classification, but also run wine workshops and a Gite overlooking the vineyards. Ready to be baked, Roman style. Rome’s seafood temple Every morning, as local fisherman haul in their loads, Francesco Tripodi, the owner of Il Tempio di Iside, one of Rome’s finest seafood restaurants, eagerly waits for the daily fish auction to begin. Francesco ensures he walks away with only the highest quality fish and crustaceans: “My customers deserve the very best,” he says. gamberi (prawns with cherry tomatoes and pecorino cheese), as well as fresh fish of the day cooked to your choice; under salt, grilled, or in the oven with zucchini, olives and tomatoes, Roman style. tuna tartare, stuffed cuttlefish or spaghetti with fish and capers. His philosophy is that the best food is fresh, simple and traditional, with their menu reflecting seasonal produce and the local catch of the day. Il Tempio di Iside also has an equally fine selection of Italian and global wines, from a Tuscan Chianti Classico Doc to a Burgundy Pinot Noir Grand Cru or a Sauvignon premium from as far afield as New Zealand. Mastering the art of fine wines Stepping into the Château Bouscaut near Bordeaux is stepping into the history of wine. The owner, Sophie Lurton-Cogombles, has witnessed winemaking from close quarters since childhood. She is a member of the Lurton family, who have cultivated the vines in the region around Bordeaux for four generations. With new coffee trends constantly emerging, coffee shops have to quickly adapt by becoming more versatile with their recipes. Francesco Sanapo. of mussels, clams and shrimps, or Seppie in nero: Venetian cuttlefish in black ink with polenta. The restaurant’s in-house pastry chef, Giuseppe Molin, has also won fans with his freshly baked biscuits offered to hotel guests on arrival, as well as his breakfast buffet cakes. The restaurant is ideally situated for lunch or dinner whilst enjoying Venice, and the hotel’s recently renewed Lounge Bar is the perfect place for an ‘aperitivo’ with a view. (Not to mention that happy hour drinks are half price for hotel guests). As the Italians say − salute! Where tradition meets innovation “With its 151 years of history, Savini Milano 1867 is a Milanese institution like the Duomo and La Scala Opera House,” says Sebastian Luca Gatto, CEO of Savini Group. many furnishings are original and date back to the 19th century,” explains Sebastian. The ground-floor bistro has a more laidback feel, offering customers the chance to enjoy an informal bite, an afternoon tea or an aperitivo in graceful surroundings. Milanese businessmen pop in to sip on a mid-morning cappuccino or for a quick lunch, while visitors passing through the Galleria stop by for a regenerating bite as they explore the city. n the heart of Italy’s oldest shopping centre – the opulent Galleria Vittorio Emanuele – the restaurant has long been a favourite with the world-famous singers, performers and composers at the nearby La Scala Opera House. Legendary Italian soprano Maria Callas was a regular, along with composers Verdi, Puccini and Toscanini. In the early 20th century, Savini Milano 1867 was also a favourite meeting place for Milan’s intellectuals, writers and artists, including Italian poet Filippo Tommaso Marinetti – leader and founder of the group known as ‘the Futurists’. Inspired by the huge innovations happening at the time, from motor cars to aviation, the Futurists celebrated modernity, speed and technology and their historic Futurist Manifesto, signed at the restaurant, was published in French newspaper Le Figaro in 1909. Creativity in the Kitchen The cuisine at Savini Milano 1867 reflects the restaurant’s long heritage. Young Chef Giovanni Bon skilfully blends innovation and tradition while using modern techniques to prepare great Italian classics. He uses both low-temperature vacuum cooking and braising, a combination-cooking method that uses wet and dry heat. “Chef Bon uses a splash of creativity in his dishes with a clear nod to Milanese culinary traditions. He combines classic recipes with new techniques and ideas, enhancing and bringing out the true flavours of each ingredient,” says Sebastian. classics alongside more imaginative dishes that bring out the city’s famous creative and innovative spirit.” www.savinimilano.it + Gusto al Design offers young designers the opportunity to showcase their creativity by exhibiting design objects from the world of food and beverages. The team behind the project comprises renowned architects from interior design studios from around the country, including Massimo Bertani, Professor of Economics at ISIA Florence, Claudia Paoluzzi, Marketing and Digital Communication Expert, Giuseppe Riccardi, CEO of Fondi & Sicav, and Tuorlo Design Studio, a graphic communication and product design studio. Sebastian Luca Gatto, CEO of Savini Group. Pure cooking Anyone with an eye on international foodie hotspots will know that Barcelona has for some years now had a growing reputation as a powerhouse. Pur, in the heart of the Catalan capital, is a case in point. sister restaurant to the Michelinstarred Can Jubany, the emphasis is on simplicity with an uncluttered contemporary interior and a similarly uncluttered approach to food. Star dishes are the large grilled lobsters, Mediterranean tuna belly, and Cantabrian anchovies served on a bed of stracciatella cheese and candied almonds. But the focus is not only on fish. There is also bone marrow with caviar, grilled wagyu loin with fresh wasabi, and grilled foie gras served on roasted onions and drizzled with onion jus. Andalusian elegance Boutique hotels tend to be tucked away, well out of way of most city’s main tourist areas, but in Seville, just yards from the cathedral and its iconic Giralda tower, the Hotel Casa 1800 Sevilla could not be more central. there are also snacks, soft drinks and coffees from the Nespresso machines available free for guests. Inside the hotel, the heat and hubub of Seville’s Santa Cruz district may feel a million miles away, even though it is just yards from the hotel’s front door. However, the rooftop terrace, complete with swimming pool and sun loungers, has some of the best head-on views of the Giralda tower and the cathedral in the city. A superb location is likewise a feature of Casa 1800’s sister hotel – Hotel Casa 1800 Granada. In what was originally the palatial 16th-century headquarters of a local police force, the hotel is just a short walk from the Moorish arches, mosaics and fountains of Granada’s famed Alhambra palace. Inside, the décor shares the elegant glamour of its Seville neighbour, albeit on a more intimate scale with high ceilings, chandeliers, gilt rococo flourishes and four poster beds. rooms and installing en-suite bathrooms as well as meticulously replacing some 200 missing period tiles. landscape and is filled with furniture inherited from the owners’ families as well as treasures found in Italian or French flea markets. Breakfast is served in the Château’s spacious library with the emphasis on quality, local ingredients including organic eggs, fresh croissants and baguettes, homemade jams from a nearby farm and artisan Normandy cheeses. 1760 and 1789, the celebrated botanist Moisson de Vaux created an exotic garden full of rare plants gathered from all over the world. De Vaux had introduced magnolia to France and plantanus to Normandy, and many of the trees he planted can still be seen in the Château’s extensive parklands today. In 1870, the Château was bought by Baron Issaverdens, the French representative of Khédive Ismael Pacha, King of Egypt, who was charged with the bizarre job of smuggling the Egyptian king into Paris incognito. In the 20th century, the Château de la Ferrière was occupied first by German troops during World War II and later by a group of Benedictine Sisters whose convent in Caen had been destroyed by bombing. The nuns stayed in the Château until 1967, using part of the building as a chocolate factory. Since buying the Château in 2013, de Ville d’Avray and Pietro have been providing a warm welcome to the many guests who visit from all over the world. Embracing l’art de vivre This historic, family-run hotel in Nice encourages guests to discover their artistic side. amphitheatre, which is still in use. "Given our incredible location, I have to tell you, there is a certain old world charm about getting here,” laughs with Christiansen, who runs the hotel with his wife Christine. “Although many years ago, a guest did manage to get a Rolls-Royce up here.” "A lot has changed of course, we've totally modernised everything,” he continues, “from the en suite bathrooms to the WiFi. The Auberge, which is currently celebrating its tenth anniversary, was the brainchild of owner Anne-Sophie Hochet. “She loved games and she was passionate about tourism so she had this great idea to bring the two together,” Michaela explains. Although the hotel accepts public visitors between the hours of 2pm and 7pm, hotel guests can play from dawn ‘till dusk. Sleep in style, whether in a turreted mansion or treehouse, a lock-keeper’s cottage or a gypsy caravan. place to spot waders such as egrets, herons, storks and spoonbills. Amiens, a floating city “Our capital, Amiens, is such a liveable town – lively, provincial and countrified in the best sense, and built on a human scale,” enthuses Wallet. The city is dominated by its mighty cathedral, the largest Gothic church in France and the setting for the town’s summer sound-and-light summer spectacle, a tribute to its soaring Gothic spirit. The coastline, which weaves amongst dunes and marshes, is deeply unspoilt and unbuilt up. Steam trains have never gone out of fashion in the old-school Baie de Somme. Learn how this fragile landscape depends on supporting elements, from the fishermen to the grazing sheep. our exceptional cultural heritage,” explains Aurélie Faivre, the Director of the Museum Housed on the site of a former farm, the Museum complex comprises two new buildings: one new and one listed building classified as a ‘Historical Monument’, with the new museum occupying a striking glass and aluminium structure flooded with light and views of the surrounding countryside. The main room is dedicated to the renowned ’volaille de Bresse’ – Bresse chicken, exploring what it is about the Bresse chickens that makes them so renowned and looking at the history of the gastronomic tradition in the region. The history itself is fascinating and includes numerous illuminating anecdotes illustrating not only the long-standing prestige of the birds but also the history of Bresse et l’Ain region. 15th century. The Maison Chauffure (aka ‘the warm house’) is the oldest, complete with original timber arches as well as a large Moorish fireplace. Visitors can wander through the various rooms – from the master bedroom to the maids’ rooms and the communal dining room with its long bench, oak table and cabinets, and the idea is to provide an insight into Bressan life in olden times. cruise-liner dinners and Michelin starred restaurants, showing the prestige accorded to the legendary ’volaille de Bresse’. In addition to the culinary customs, part of the collection in the modern building likewise explores different aspects of local culture from chinaware and furniture to traditional Bressan costumes including headdresses and hats, be they simple hats or large elaborate, lace-adorned ‘chapeaux’. One story relating to ’volaille de Bresse’ tells of how as far back as 1591, the citizens of nearby Bourg-en-Bresse offered a number of these much prized birds to a local Marquis of Treffort as a gesture of gratitude for his efforts in fending off marauding Savoyard soldiers. An important collection of 19th-century jewellery takes in brooches, rings and necklaces reflecting French fashions of the time, whilst a separate and equally impressive collection of enamels illustrates the importance of the enamelling tradition in the region, with religious objects, belt buckles and jewels made by skilled local craftsmen. Another show, meanwhile, showcases the importance of women – ’les mères’ aka the mothers, in developing and evolving local dishes and recipes, highlighting their role as the precursors for today’s celebrity chefs. This collection by the little-known Norwegian-born painter Anna-Eva Bergman was inspired by her travels between Norway and southern Spain from 1962 to 1971.
new show from 20th-century Norwegian artist Anna-Eva Bergman – called From North to South, Rhythms – does just that, occupying the bright space with ease. The largely unknown collection comprises paintings created between 1962 and 1971, inspired by a series of trips Bergman made between her birth country of Norway and – fittingly – southern Spain. It is clear: this work belongs here. This in itself is significant: one of the gallery’s main aims in hosting the event was to raise awareness of this underrated painter, whose art is largely unknown in Spain. The gallery’s stark, clean halls (so different to the building’s rustic, historic exterior) help to further emphasise the expansive, geometric nature of Bergman’s work, and the 65 pieces are hung sparsely, appearing in crisp contrast to the bold colours, shapes, and brush strokes they display. Bergman was not content for her work to be described as simply ‘abstract’. As Christine Lamothe, Bergman expert and co-curator of the show, explains: “Anna-Eva Bergman started in figurative painting, but from the 1950s onwards, she invented a completely personal abstraction, which, rather than abstract art, she preferred to call ‘the art of abstraction’.” The exhibition continues until 5 May 2019, and offers a unique perspective on Spain – a country as southern European as Norway is northern – and decoding cross-country visual influences as an interpreter does with sound. “The Per Amor a l’Art collection – which is exhibited at Bombas Gens – has a special interest in contributing to the dissemination and value of artists overlooked in the history of art,” explains general director Susana Lloret. tion between nations, and Bergman’s international past: the event is partnered by the Fondation Hartung Bergman in France (as, despite her love of Spain, Bergman spent much of her life in Paris and Antibes). Fondation president, Daniel Malingre, has said that this collaboration’s primary aim is to “disseminate and expand knowledge of Anna-Evan Bergman’s work”. Yet, the Norwegian-born artist’s travels to Carboneras in Spain would significantly impact Bergman’s work for almost a decade. he is right. Between Niort’s 12th-century fortress, now the Musée du Donjon, and the collections in the Musée Bernard d’Agesci, visitors are spoilt for choice. In the Musée Bernard d’Agesci, you will find sculpture, natural history, scientific artifacts and art, including Islamic works, as part of an exhibit on education. Lamy is ready to welcome tourists from all over: “We have an interactive ‘tablet tour’ of the top exhibits in both museums, in English, for adults and children,” she explains. The Musée du Donjon dominates Niort with impressive views across the surrounding countryside. The building has become one of the town’s key landmarks and was built on the orders of England’s King Henry II whose kingdom stretched well into France. By the 18th century, it was a prison for British sailors who fell foul of the French off the coast of La Rochelle, just 40 miles away. Opening Parade for ‘Eldorado – Lille 3000’, Lille, France 27 April Every few years Lille stages a spectacular international art festival with shows by leading international artists in venues throughout the city, from the grand, 19th-century railway station to galleries of all sizes. The Lille 3000 art shows runs till December 2019 and, to kick it all off, there will be a spectacular parade through the city. In keeping with the festival’s ‘Eldorado’ theme, there will be Mexican-inspired floats and costumes and giant puppets, as well as music and dance based around the theme of the ‘Dia de los Muertos’ –- ‘Day of the Dead’. The last edition of the Lille art festival saw nearly 100,000 visitors pack the city’s streets, so get there early! The magazine promoting France, Spain, Italy and Portugal.